Is Britain's broadband lagging behind Europe? New research suggests that, whilst the uptake of broadband in Britain is high, the speeds offered are lagging behind those available in the rest of Europe. This, in turn, is limiting what people can do online. Jupiter Research predicts that by Christmas, 75 per cent of us will be on broadband and many will find it an indispensable tool. 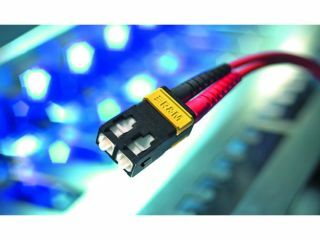 It also foresees that only about one in every 10 households will engage in applications that require high-speed broadband access, such as streaming video. In the UK, 8Mbit/s is considered a fast connection, with a few select ISPs managing 24Mbit/s. In France and the Scandinavian countries, this is considered as standard. The broadband marketplace in Britain tends to compete on price rather than speed, and this is mostly because those providers who reply on BT cannot offer higher speeds than 8Mbit/s. Quality of service is also very important - if it's not working half the time, there's not much point to having broadband, regardless of speed. Next year, BT is due to roll out broadband services based on ADSL2 technology, which offers speeds up to 24Mbit/s. Also, local loop unbundling should improve competition when it comes to speed. There are also vast discrepancies between speeds available to cities and urban areas compared to rural parts of Britain.